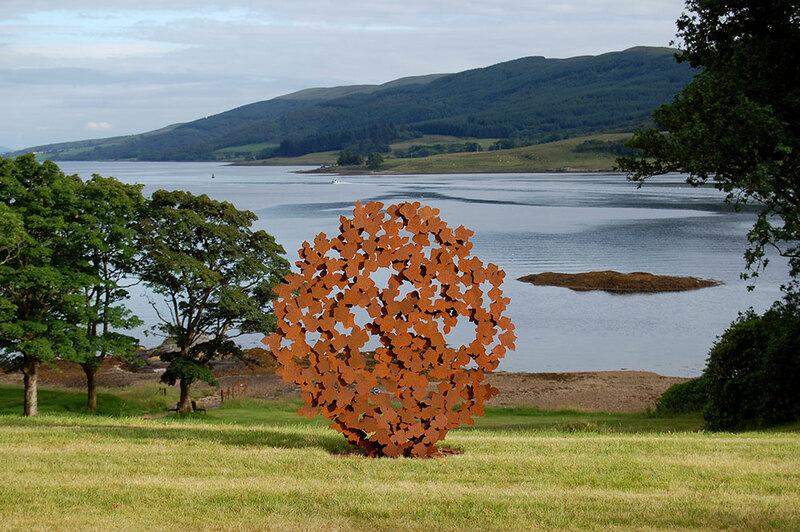 Exhibition at Caol Ruadh Sculpture Park. All leaves are hand cut in weatherproof steel depicting ivy, the everlasting and ever growing, a historical synonym for life and a recurring theme in my work. It is also called Lovestone for its habit of hugging stone. On the other hand it is perceived as a serious invasive species and also as a horticultural weed. It is a good example for life itself and its challenges.